I don't know about you but for some reason I've felt really attached to my hair as it's grown longer since my last hair cut. On a daily basis I see people critiquing other people's hair - whether it be friends, family, celebrities or strangers, which has resulted in me feeling very passionately about people being able to do whatever they want with their hair. Fortunately I graduated high school nearly six(!!!) years ago so I'm not exactly up-to-date with what happens at school these days, but I do know that at my school they were able to control your appearance in so many different ways. Boys weren't allowed their hair to even touch their shoulders and girls were not supposed to colour their hair (even though we all did). It's erroneous to impose those kinds of arbitrary rules on young people who are already body conscious and trying to figure out who they are. Your hair grows out of your body. It belongs to you and you can do whatever you want with it. 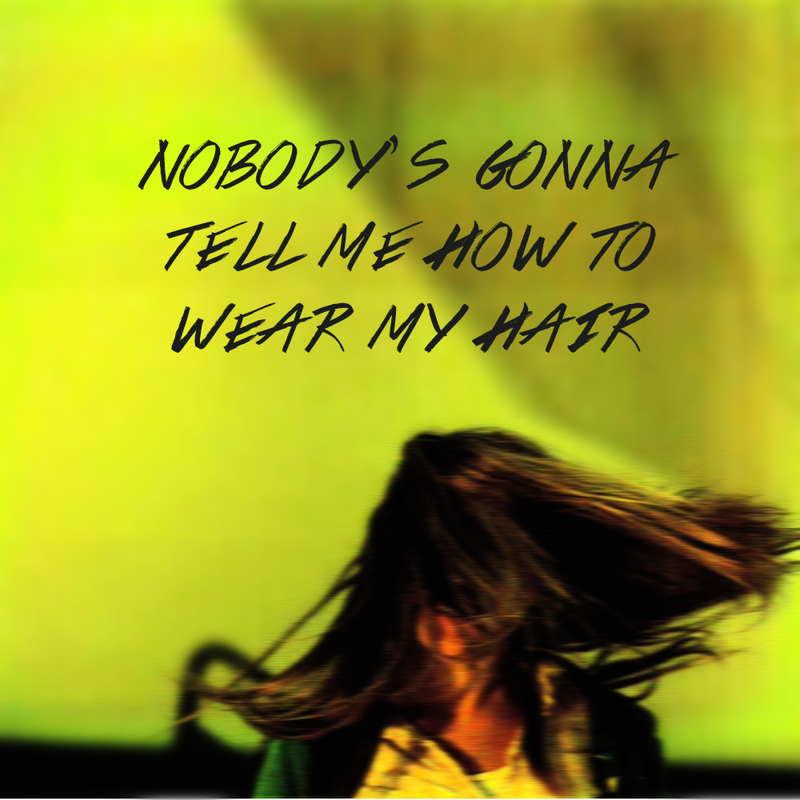 Here's to the rebels who think screw it; nobody's gonna tell me how to wear my hair. Luckily in my school we were allowed to have our hair how we wanted, but I've never understood it when schools band different hair styles, it's so wrong! Love this playlist! Ahh you were lucky! Maybe it was because I went to a private school and they were quite strict about our appearance? You would think they would focus more on education that how we looked but apparently not haha. should i get it cut? should it be lighter? am i too old. am i too old. cause i like my hair the way it is right now. Great post and happy weekend!